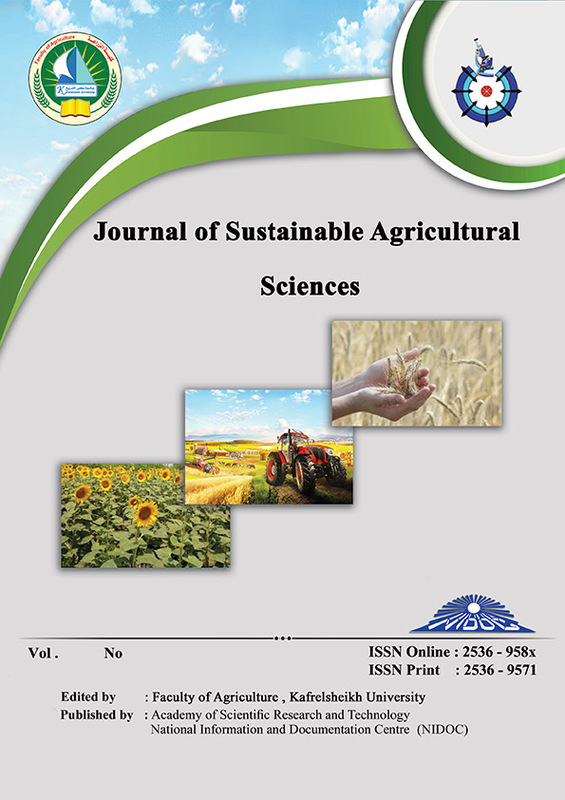 This research was mainly aimed to identify the problems facing farmers of the faba bean at Kafr El-Sheikh Governorate to determine the correlation and regression coefficients between those problems and the independent variables, and finally to identify the farmers’ proposals to overcome those problems. In order to achieve these goals, three randomly selected districts were selected in Kafr El-Sheikh governorate. Then, one village from each district was randomly selected: Dafriya (Kafr El-Sheikh), Al-Sahayt (El-Hamoul) and Wakf Bahery (Metobas). The random sample amounted to 153 respondents. A number of statistical methods were used: frequency, percentage, weighted average, mean, standard deviation, simple correlation and regression coefficients and stepwise regression model. The main results were as follows (1) - The problems faced the faba bean farmers were represented in seven groups. The problems’ groups facing the faba bean growers were classified according to their relative importance from the respondents’ as follows: extension problems, Followed by administrative problems, production problems, marketing problems, problems related to the grower, soil problems, and finally irrigation and drainage problems. (2) - The results indicated that the most common extension problem was the absence of the role of agricultural cooperatives in crop marketing. The most common administrative problem was the government stop farmer subsidization. The most common production problem was the high prices of different inputs. (3) - There was a significant negative correlation between the problems facing the faba bean farmers and the following independent variables: the education degree of the respondent, agricultural land tenure, experience at bean cultivation, exposure to extension activities and readiness for change. (4) - The most important proposals to overcome the problems facing them in the field of faba bean cultivation were: provide the production inputs (fertilizers and pesticides) at an appropriate price in the agricultural cooperatives, followed by identifying an indicative sale price before planting time.